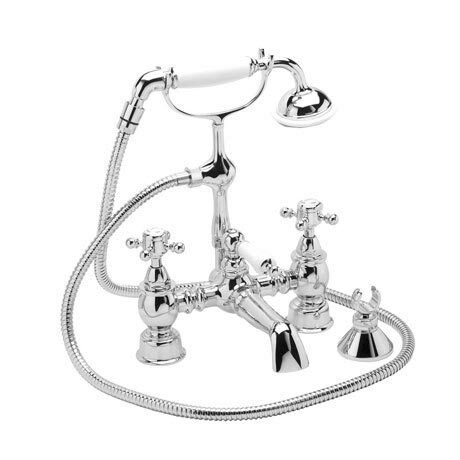 The Heritage Hartlebury Bath Shower Mixer displays classic elegance with a modern twist. Its brass construction and chrome finish make this tap a great addition to any period themed bathroom. Features quarter turn ceramic disc valves and comes supplied with a 1.5m shower hose, wall bracket and single function handset.